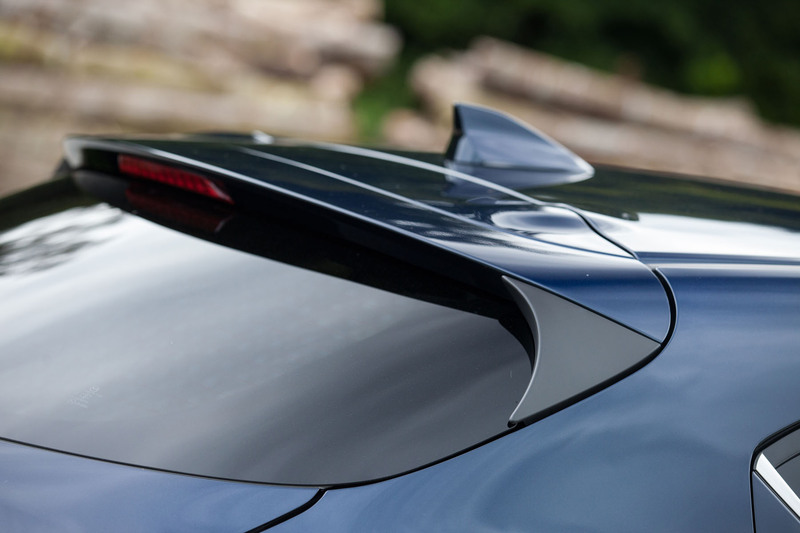 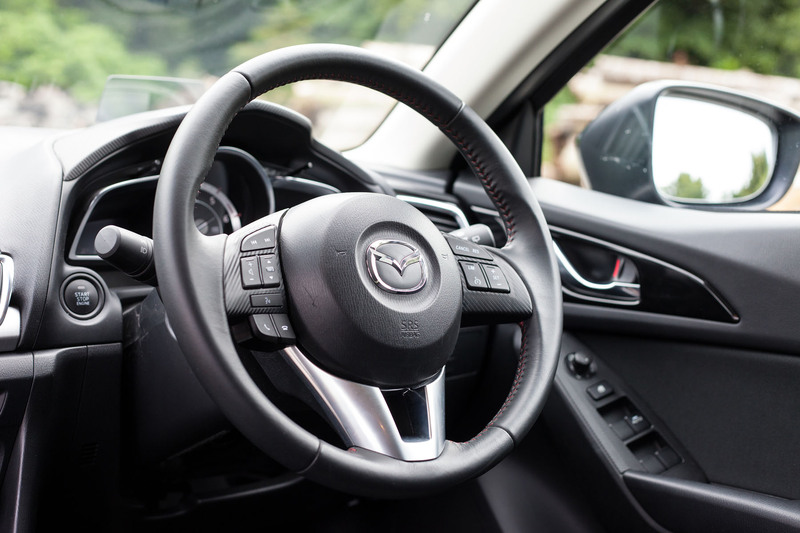 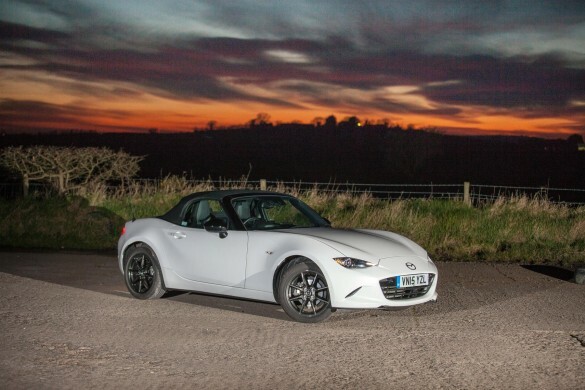 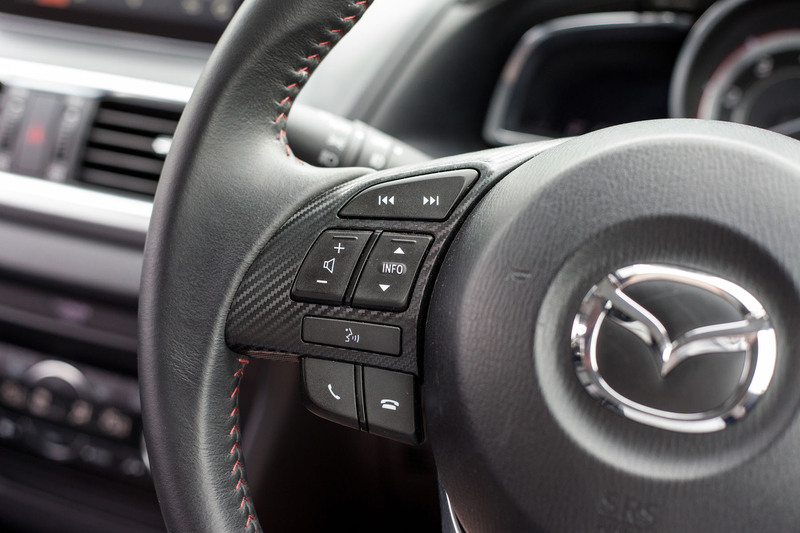 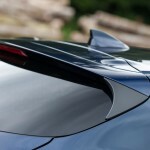 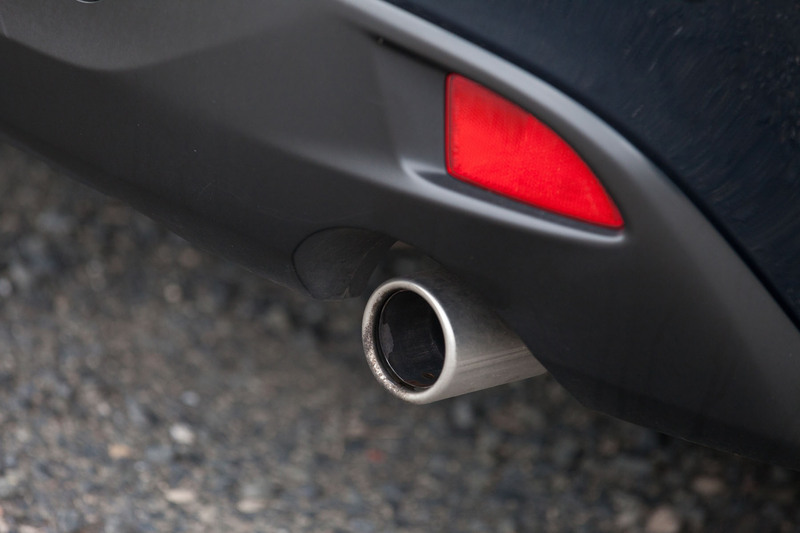 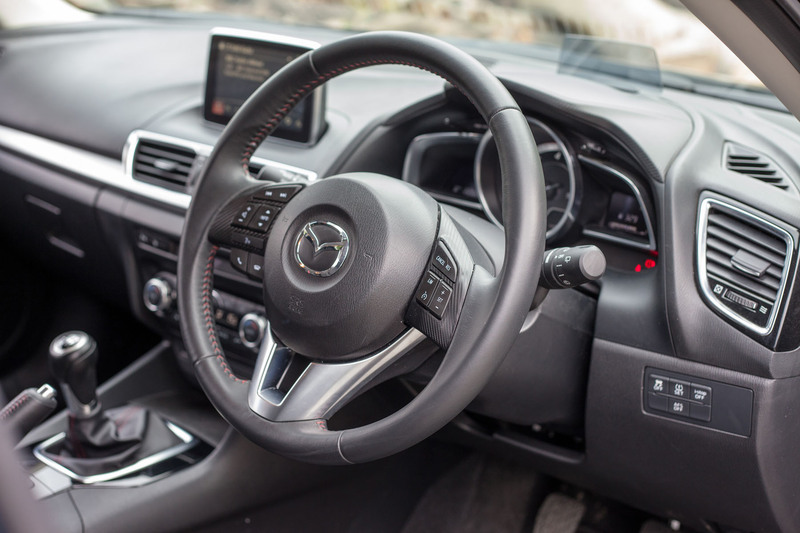 Mazda in the modern era of car manufacturing have impressed greatly as we have found out from driving a few of their latest range including the Mazda 2, CX-3 and of course the infamous MX-5, all of which you can read about if you click on the model names. 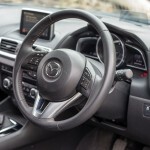 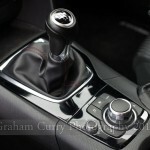 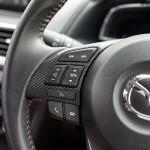 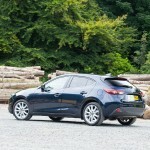 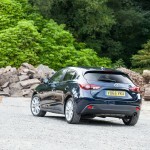 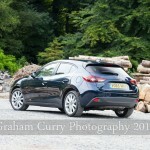 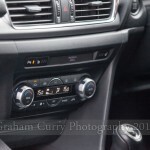 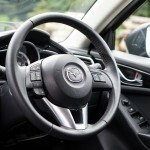 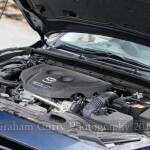 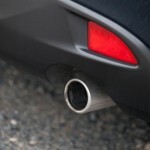 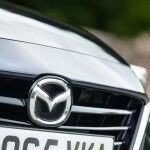 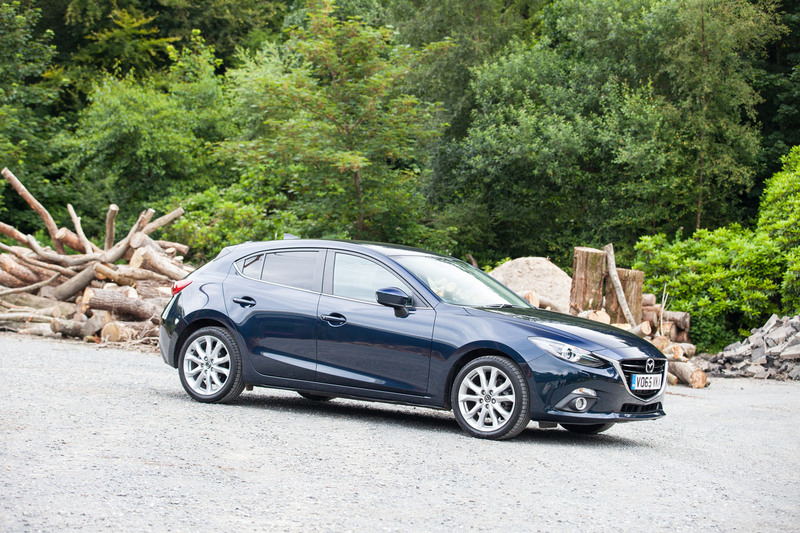 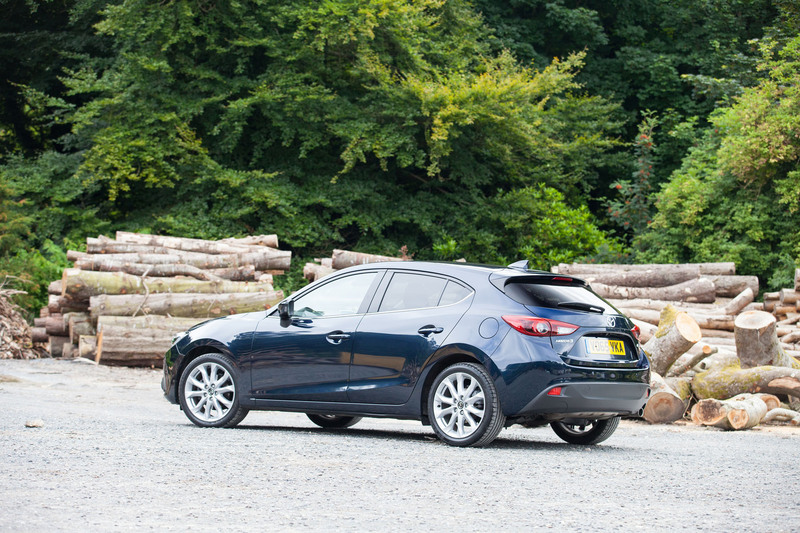 Not only has the specification of the cars come on leaps and bounds, the driving experience is a joy as Mazda’s SkyActive technology reduces vehicle weight which not only aids handling but also economy and some of the petrol models available are more frugal than many new large diesel cars on the market today. 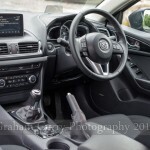 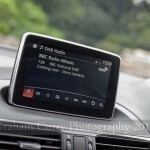 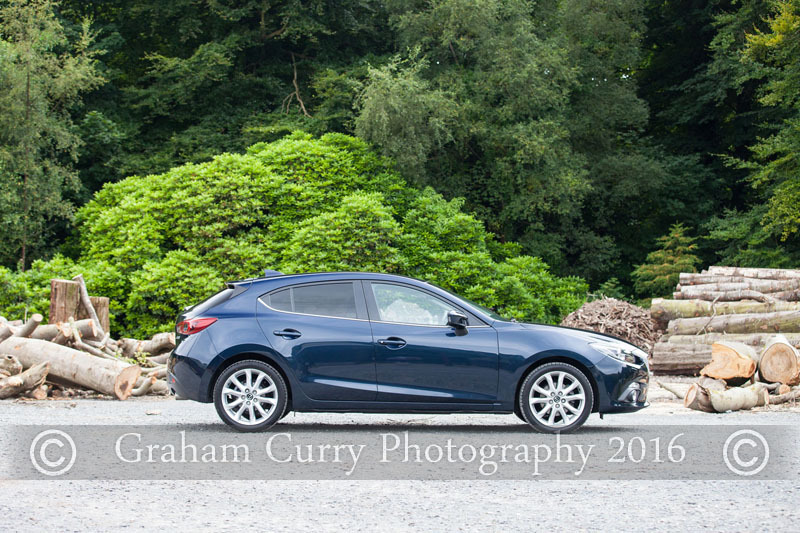 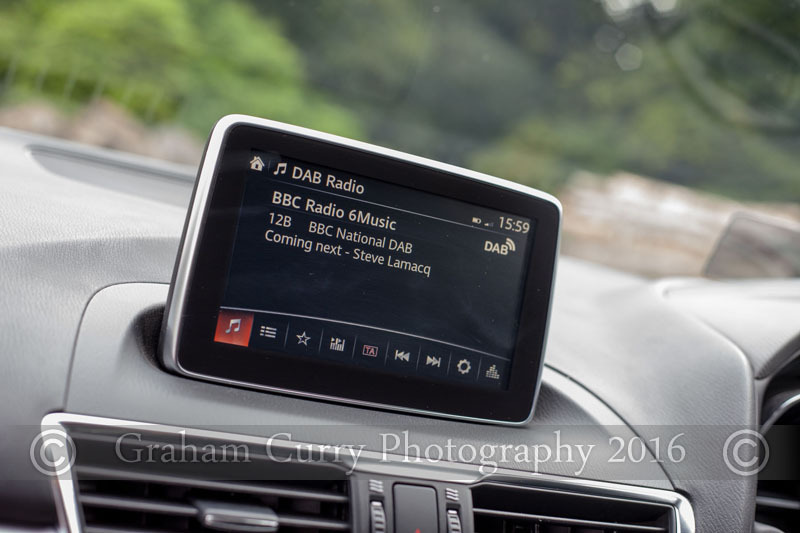 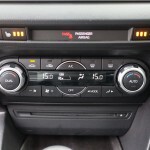 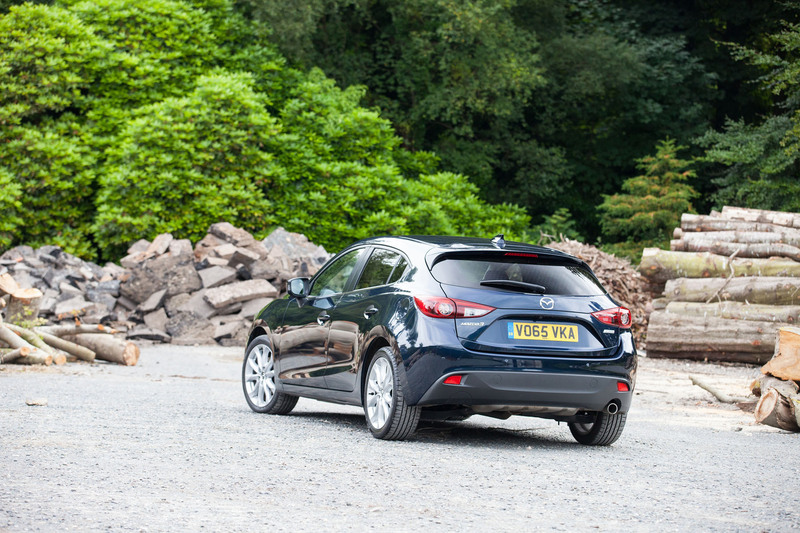 This time Mazda have sent the Mazda 3 for review, a much more practical car than the smaller 2 in terms of size and inside space, however it is still small enough to cope easily with city living. 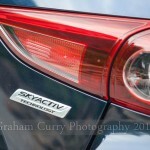 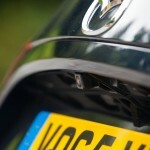 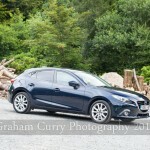 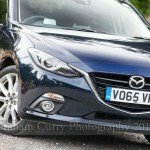 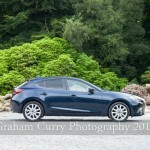 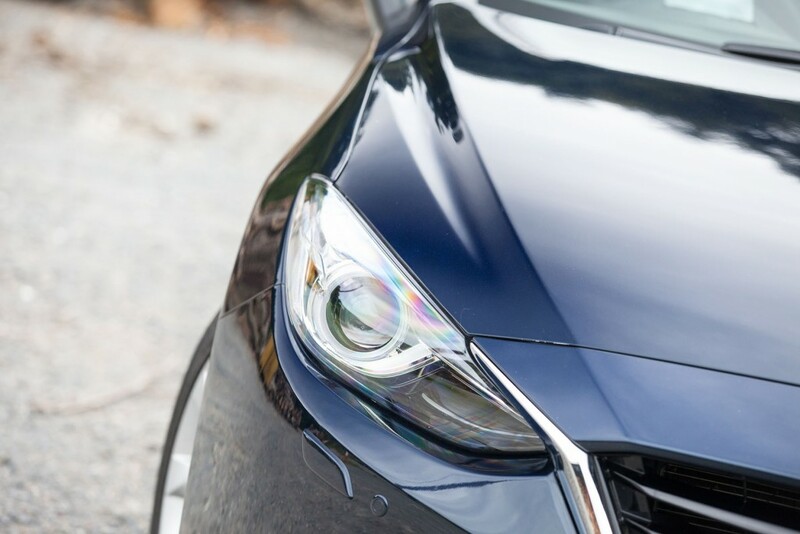 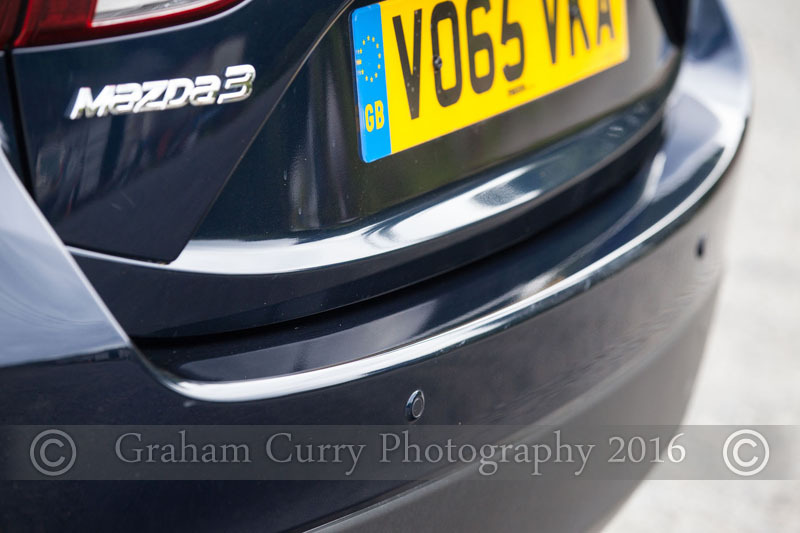 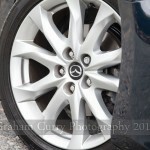 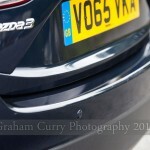 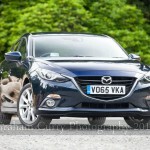 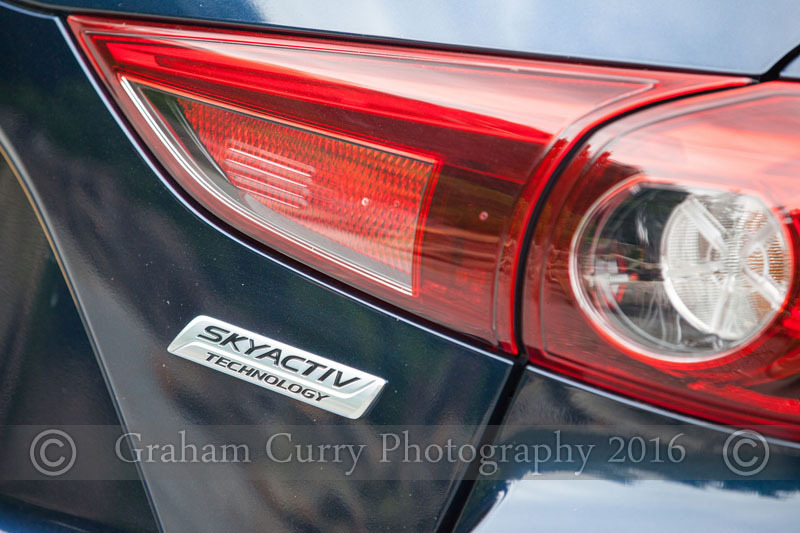 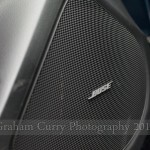 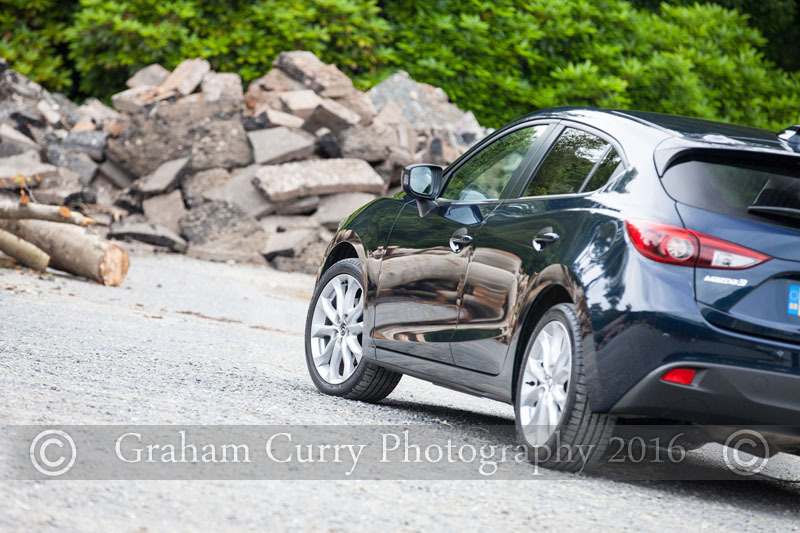 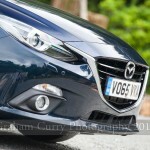 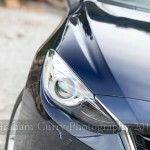 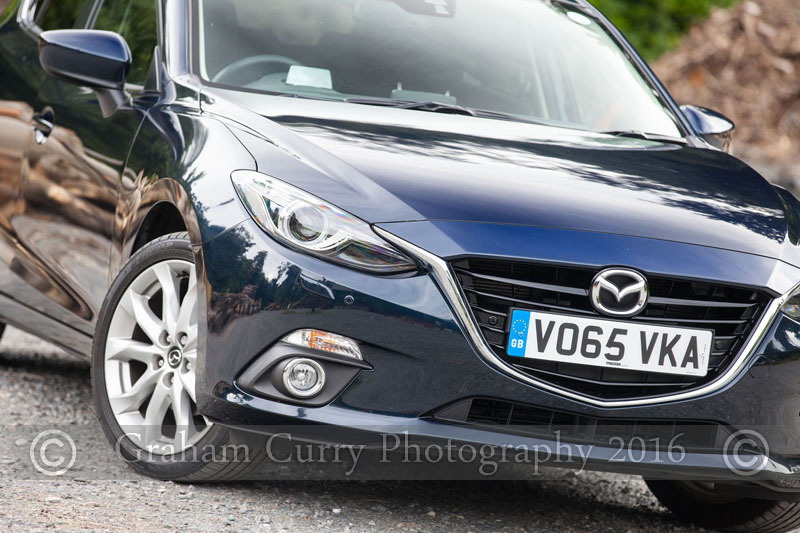 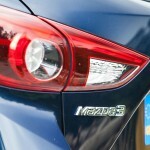 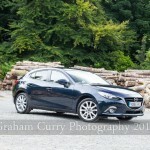 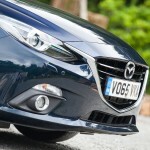 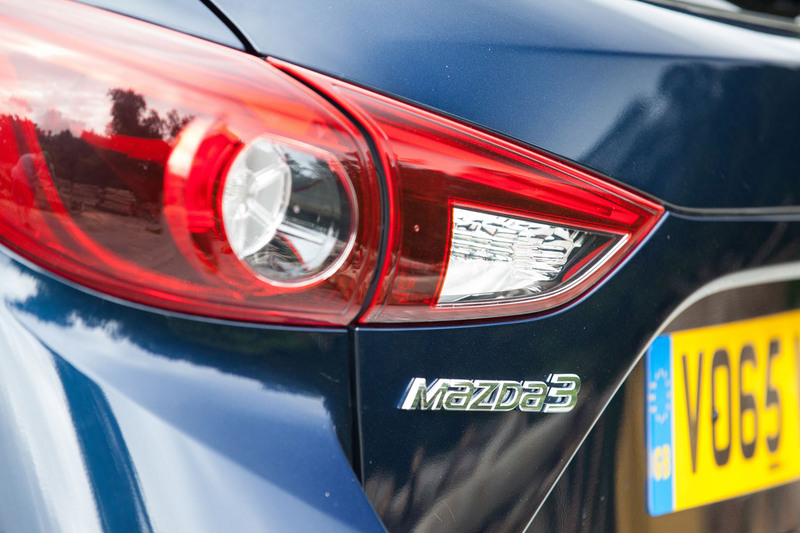 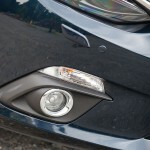 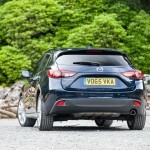 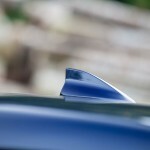 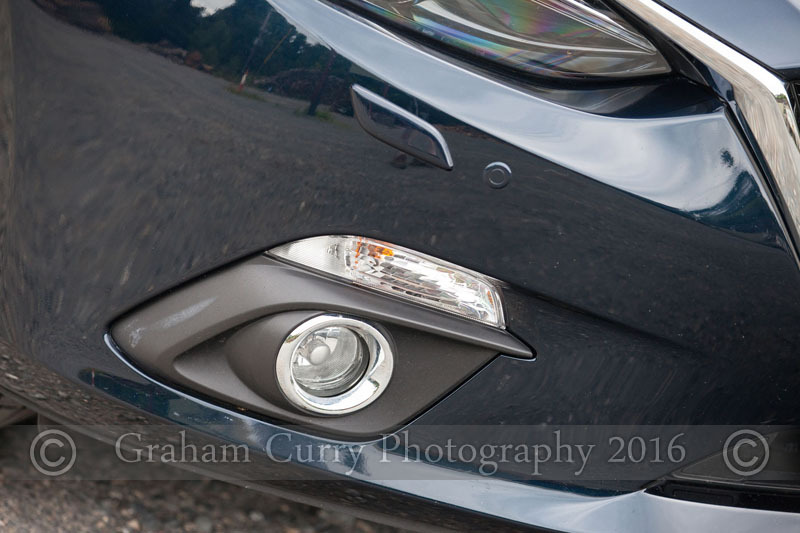 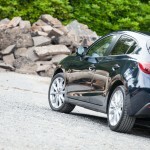 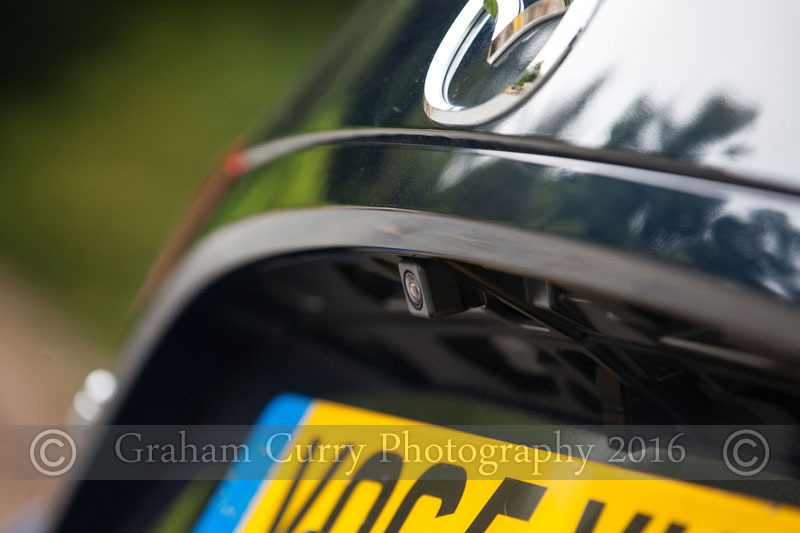 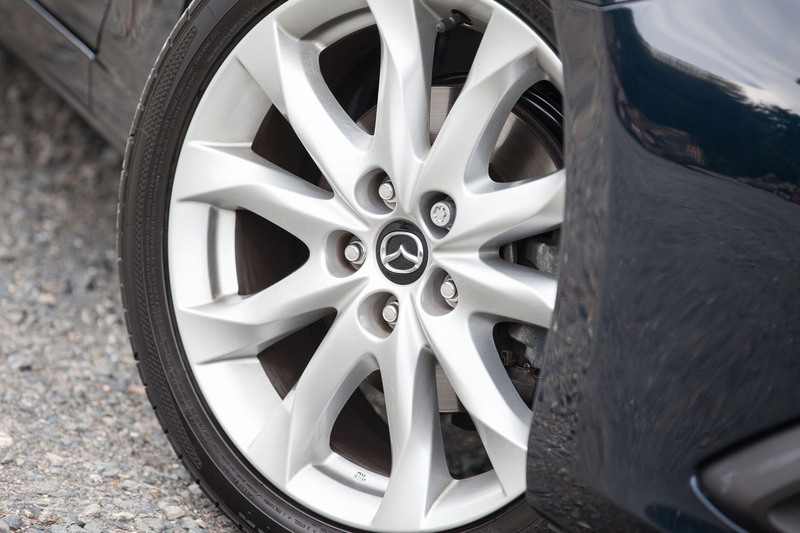 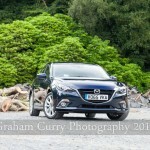 Outside, the latest Mazda 3 should be easily recognised as a Mazda with the signature front end design. 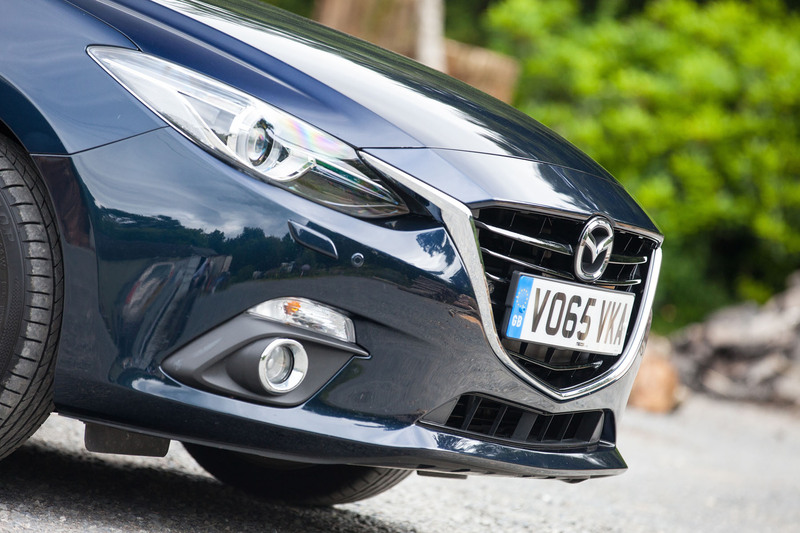 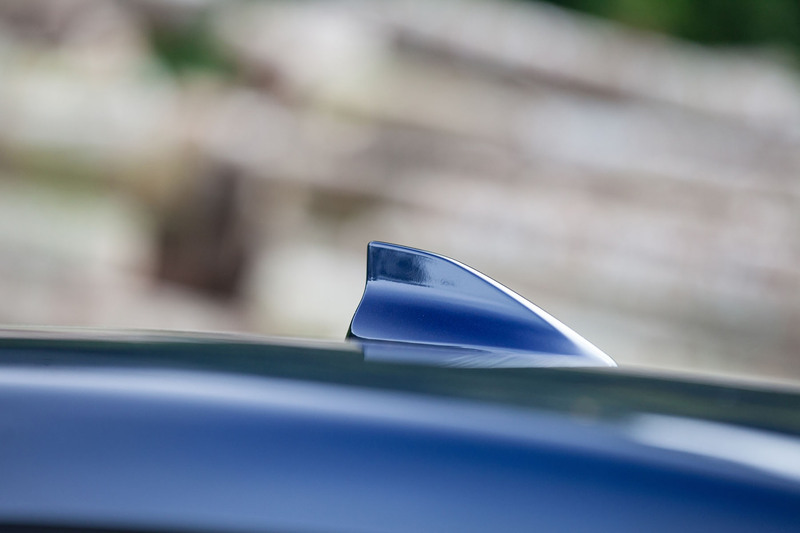 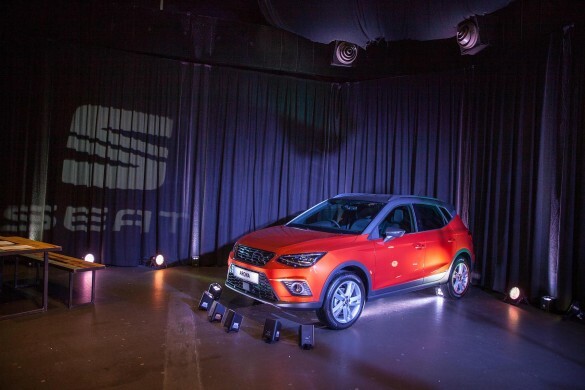 A flat front from the side profile yet sharp and pointed from every other angle with sleek headlamps and on this test car, optional front fog lamps and parking sensors are housed in and around the bumper. 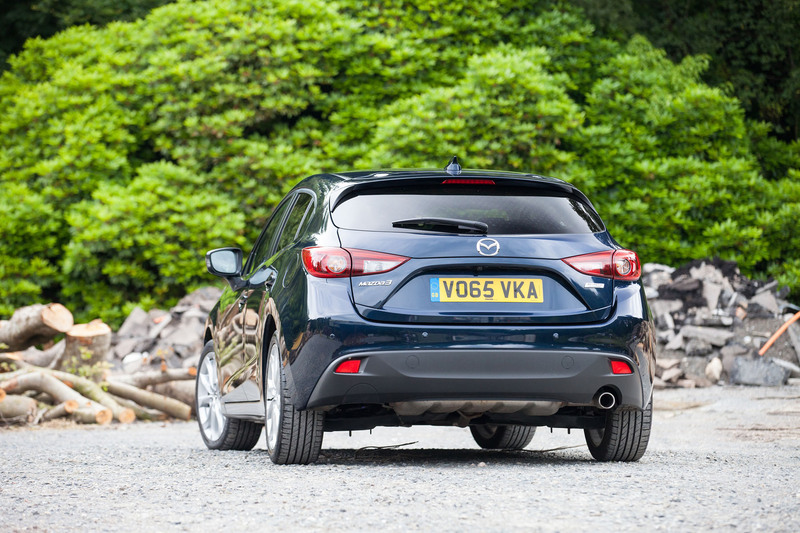 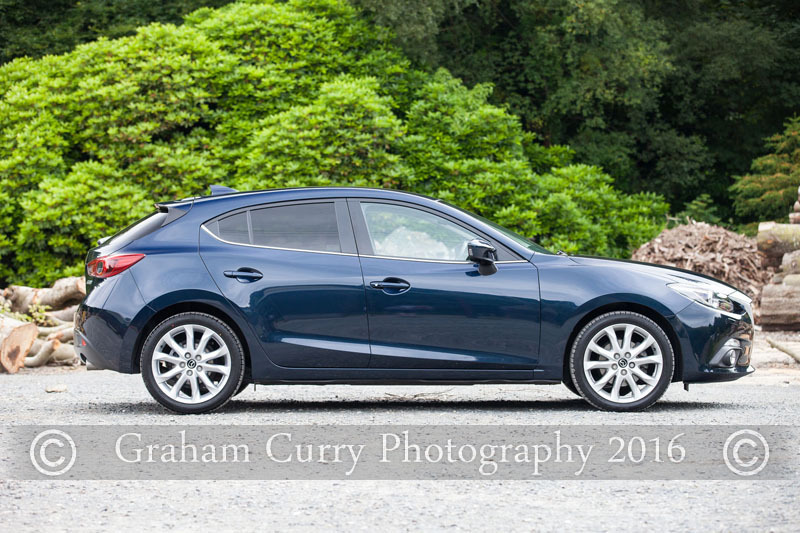 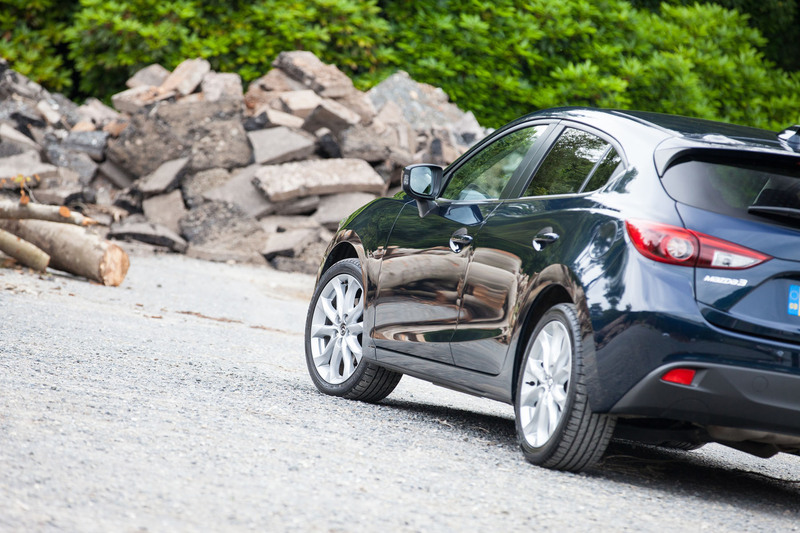 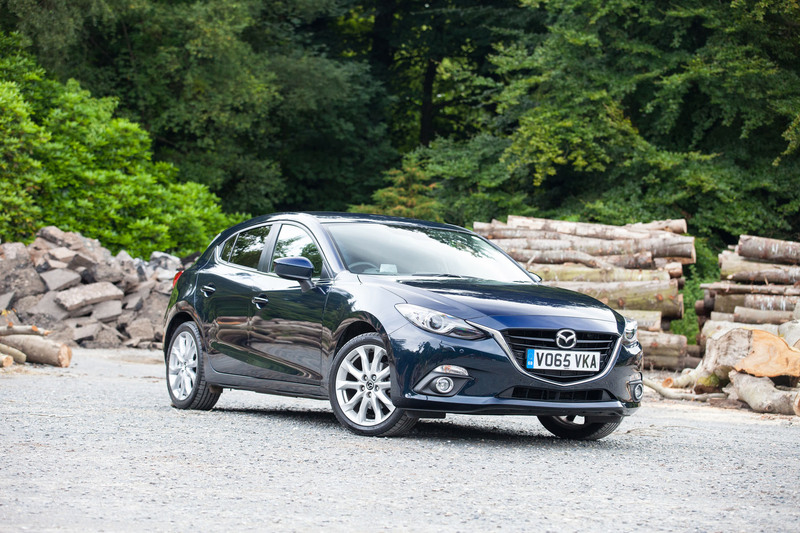 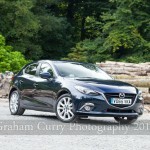 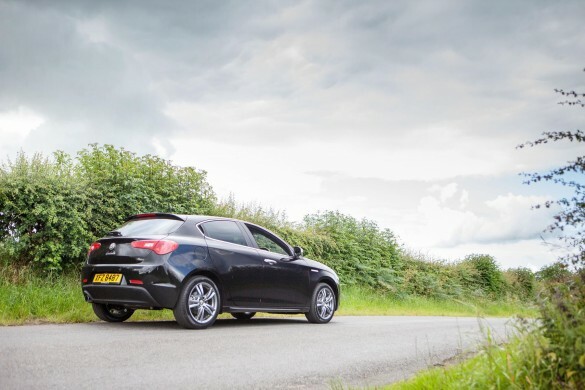 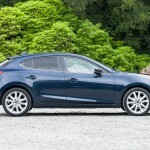 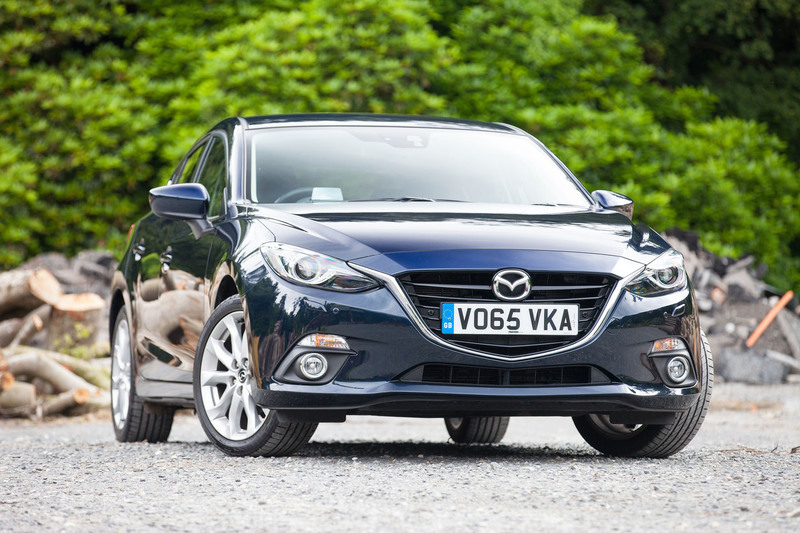 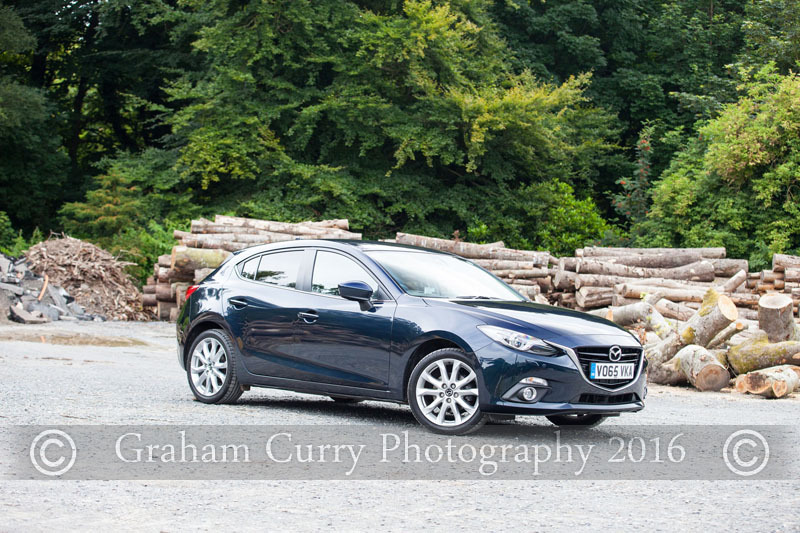 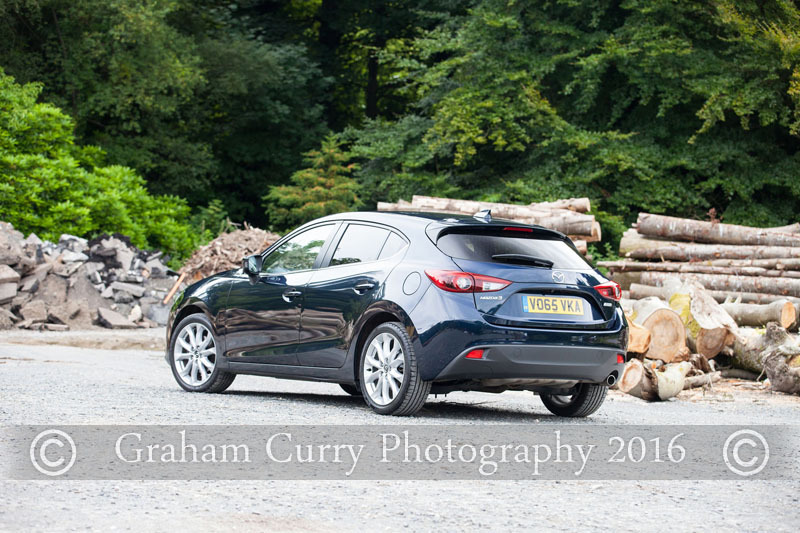 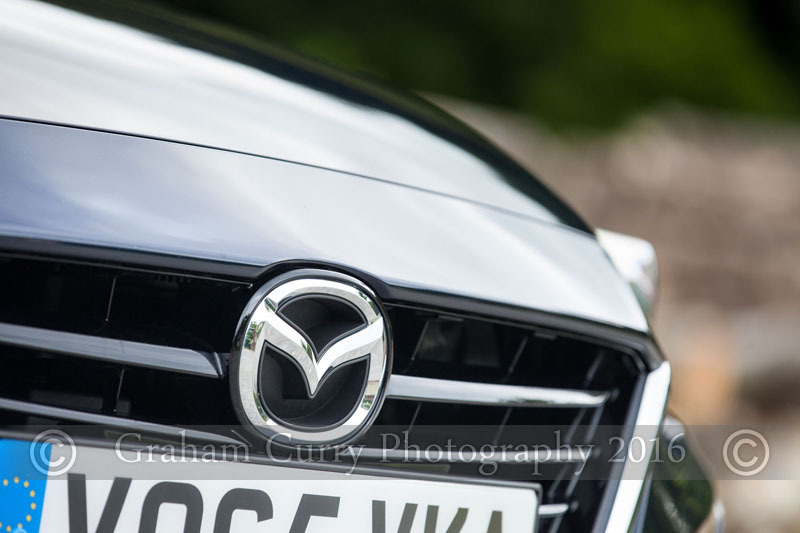 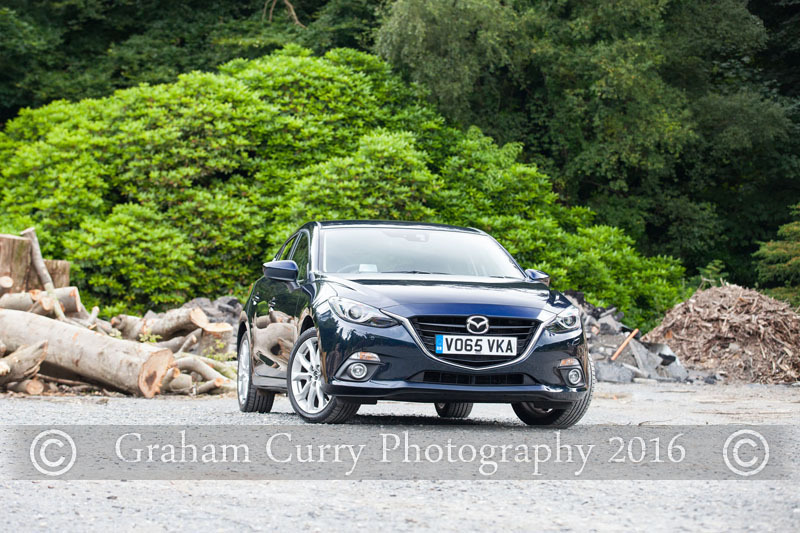 The Mazda 3 is available as a five door hatch as tested, a Sport Black model with the same five door layout as well as a lesser practical but perhaps slightly more stylish looking fastback four door saloon variant. All models at a quick glance could all be mistaken for the larger Mazda 6 due to them looking bigger than the outgoing 3 models. 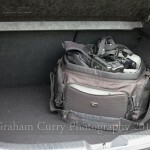 Load space was surprisingly ample, offering more than many rivals, however I felt it would benefit from being a little deeper to aid further practicality. 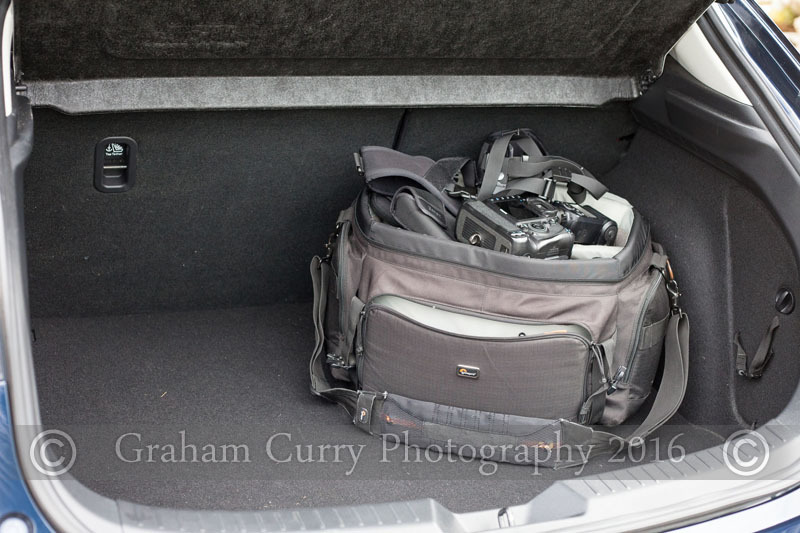 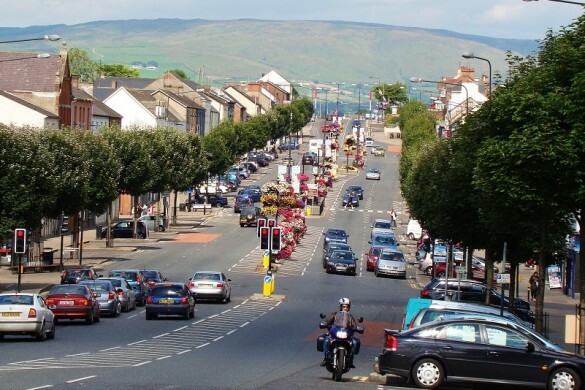 A couple of suitcases, some sports bags for a Saturday game with a few mates and a week’s shopping for a large family will be absorbed like water by a sponge in the boot of the 3. 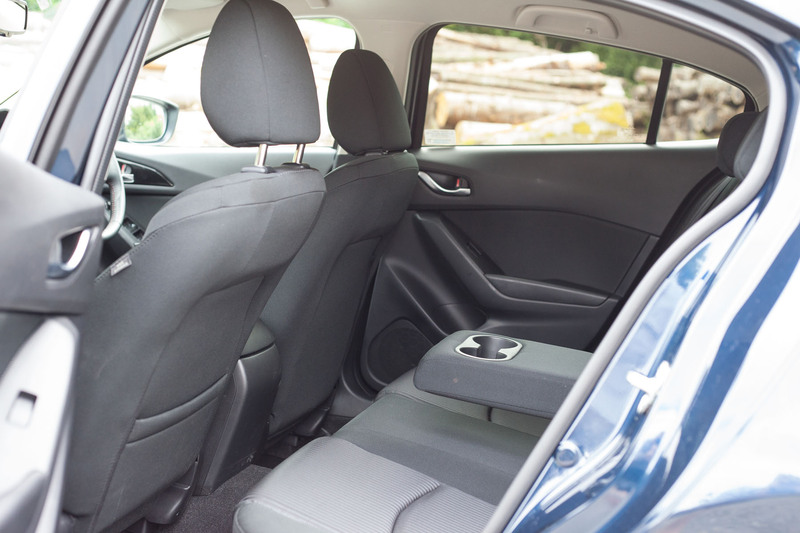 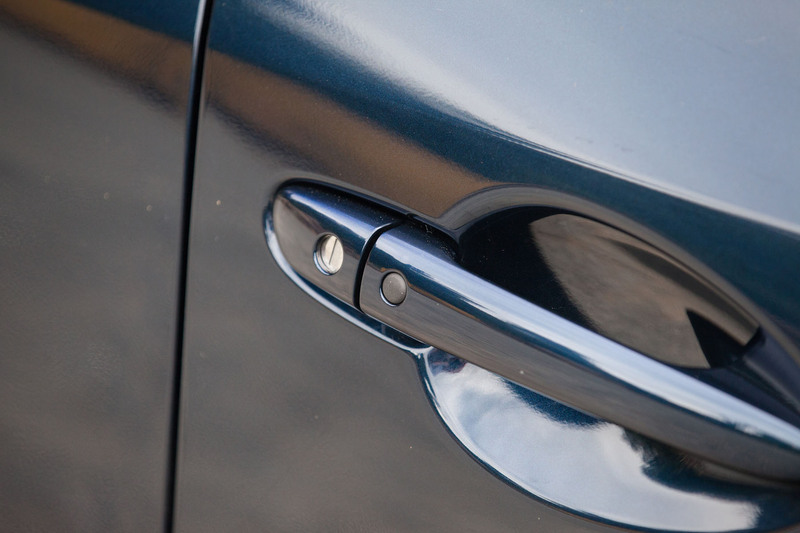 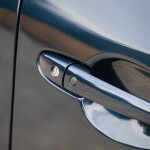 Key-less entry system lets me inside the cabin, which I must say is a vast improvement over models of old, a pleasant place to be with very soft and comfortable cloth seats that offer just enough support with decent leg and head room in the front. 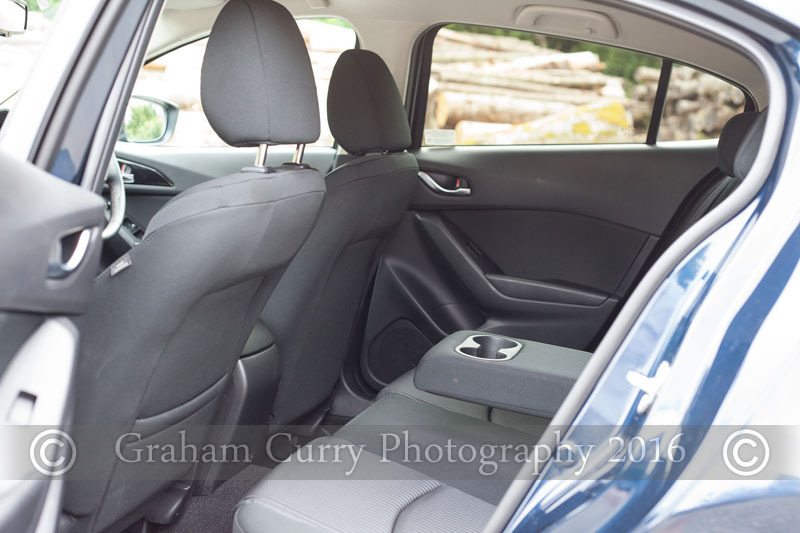 Rear leg and head room was ample enough for a decent road trip with four adults whilst all round visibility when driving was fantastic. 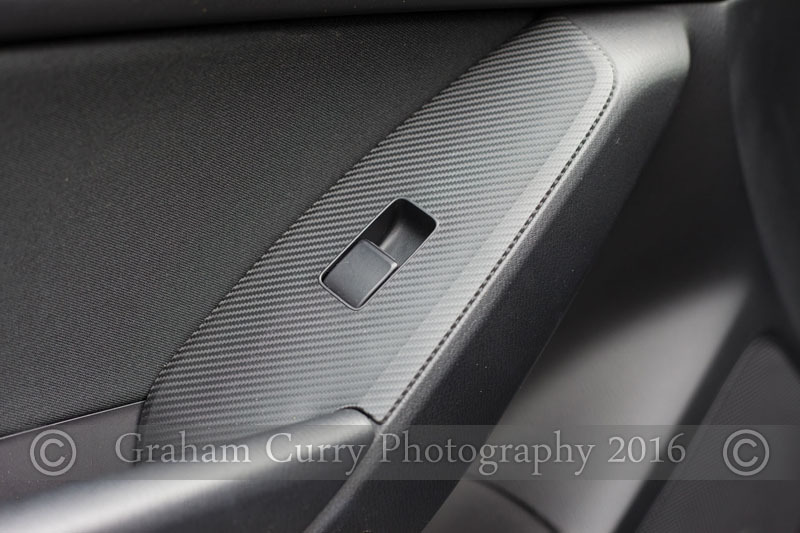 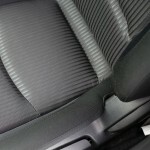 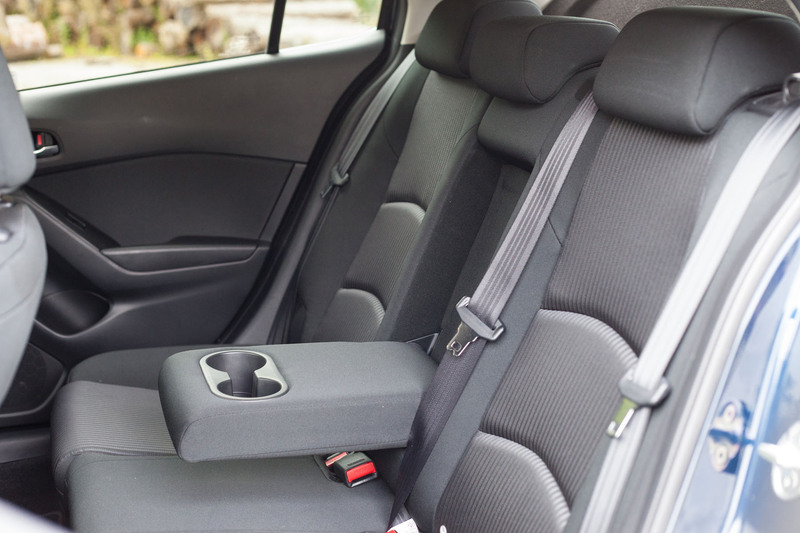 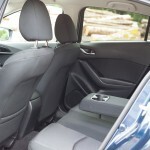 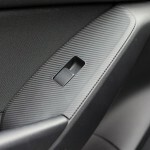 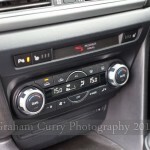 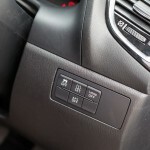 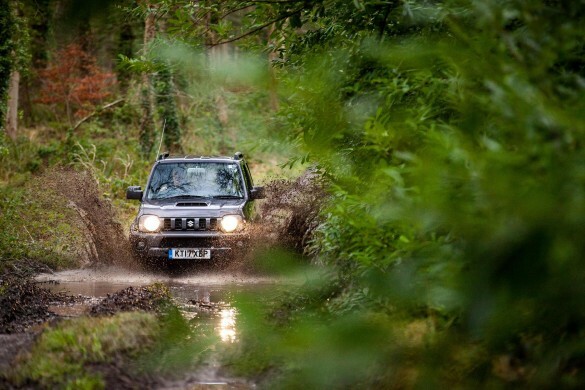 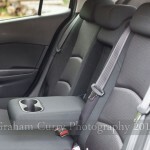 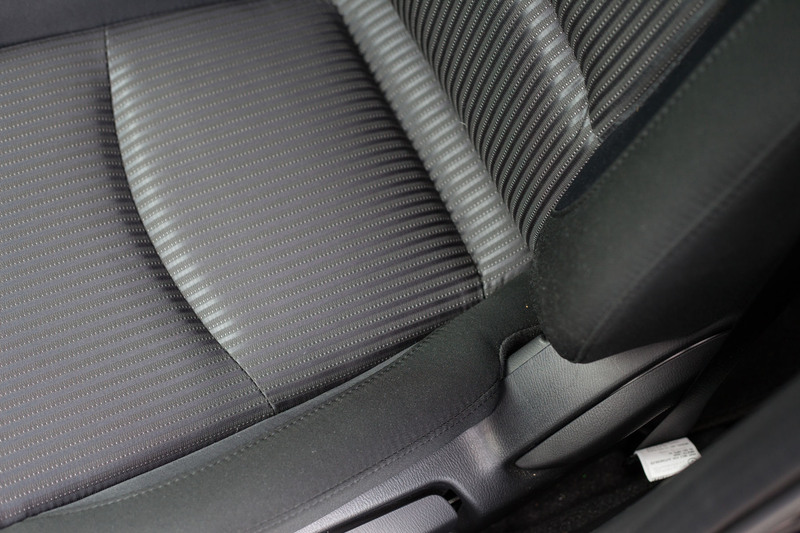 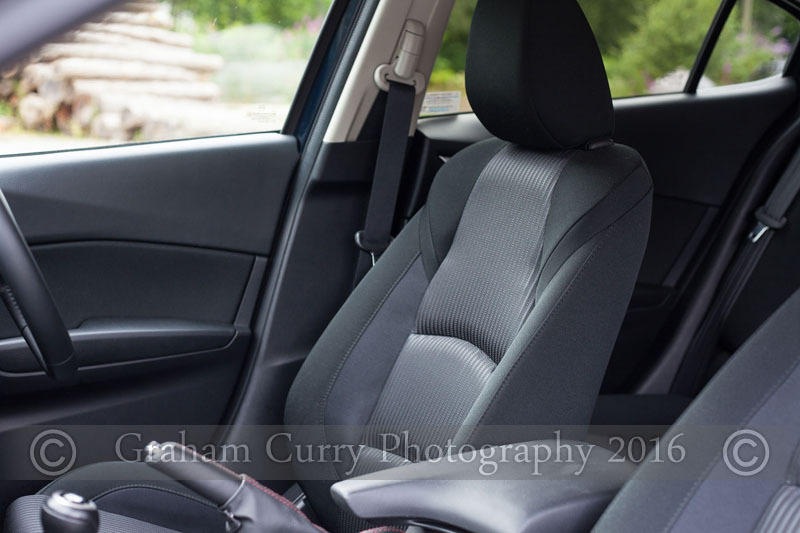 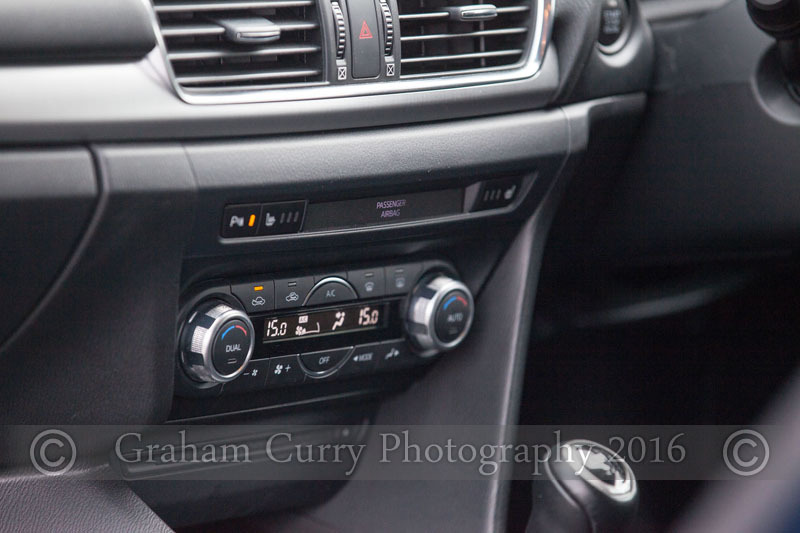 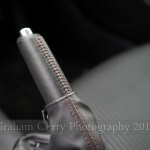 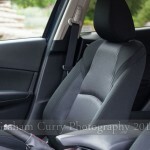 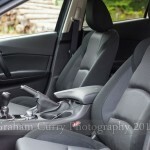 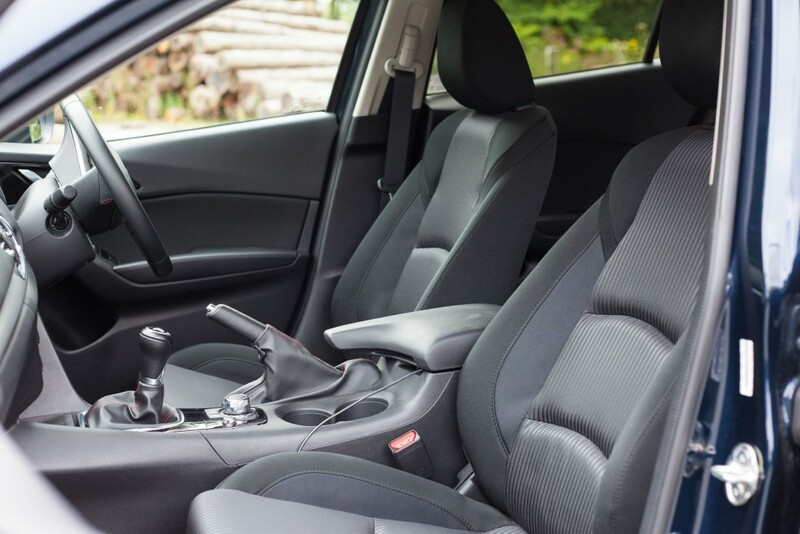 Cloth trim throughout is of good quality while the front seats benefit from being heated. 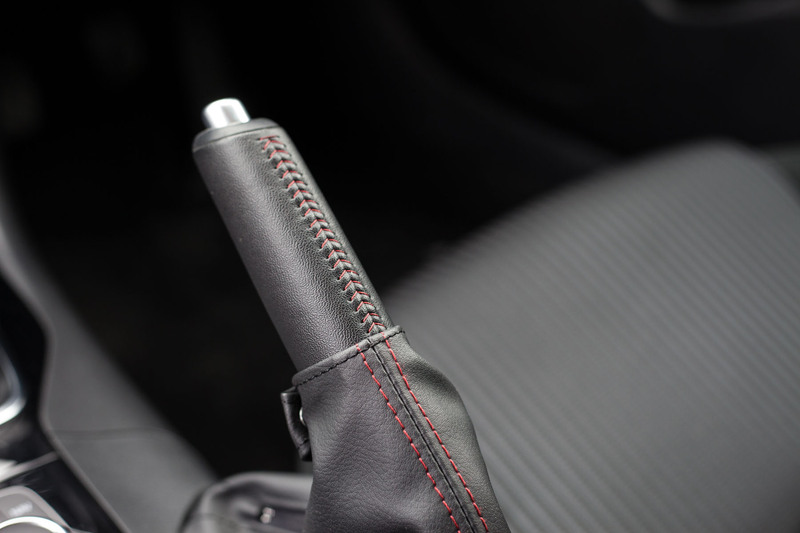 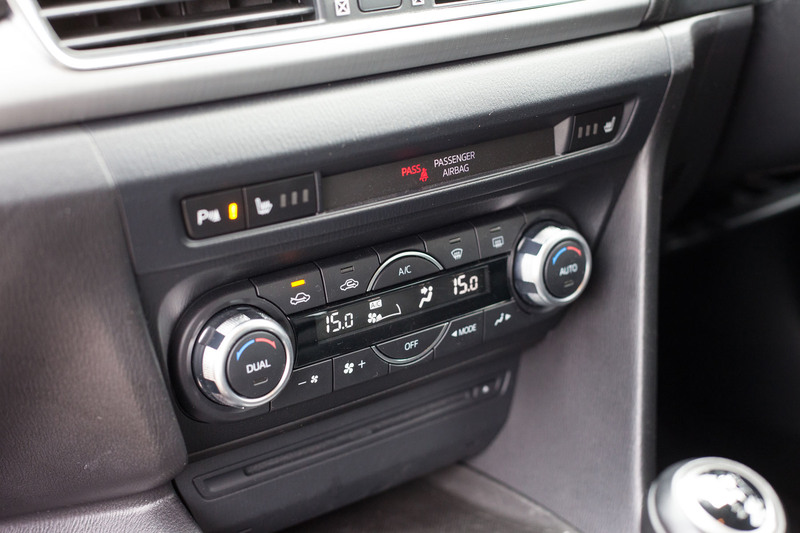 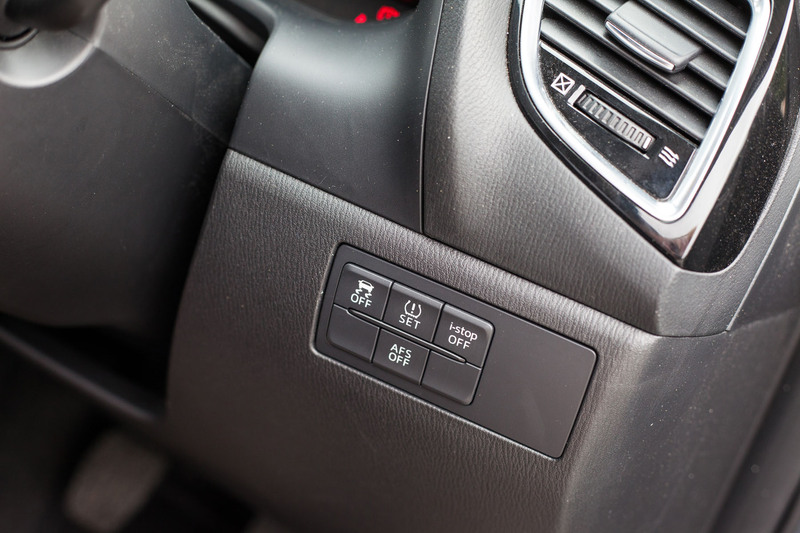 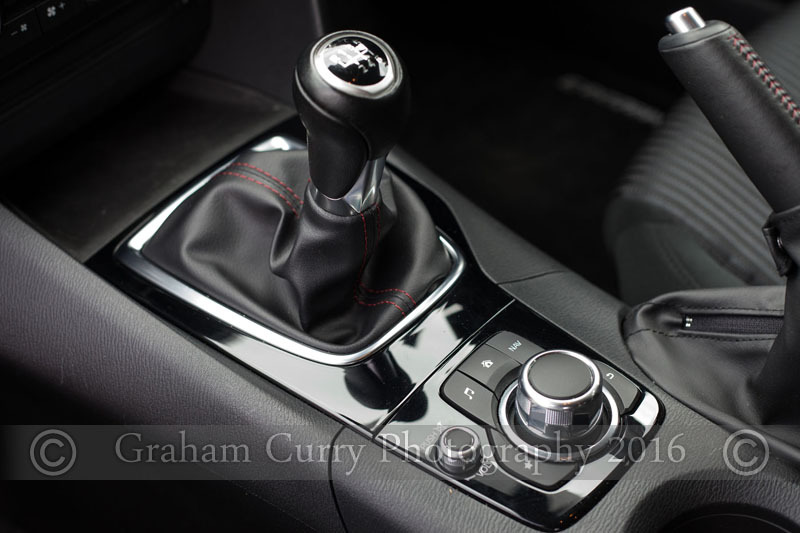 As per many models and manufacturers now, there is red stitching around the steering wheel, handbrake and gear-stick whilst comfort is aided with dual climate control and air con. 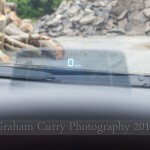 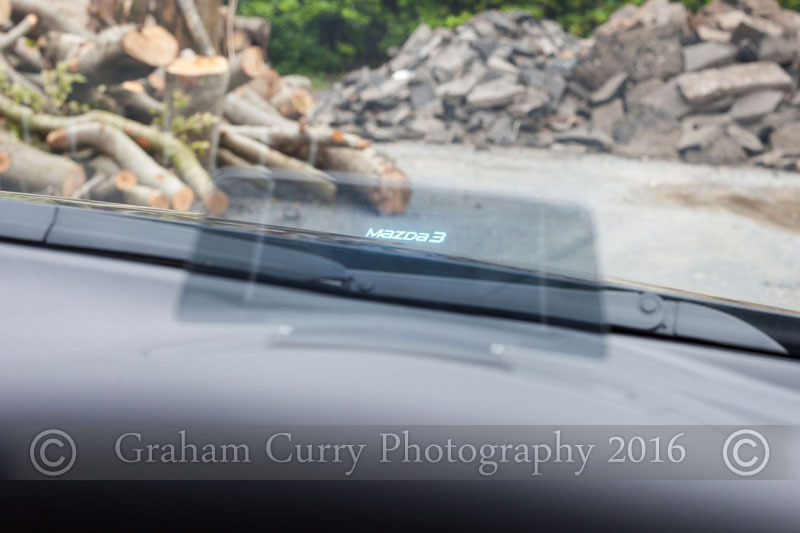 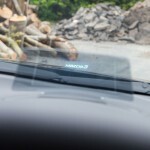 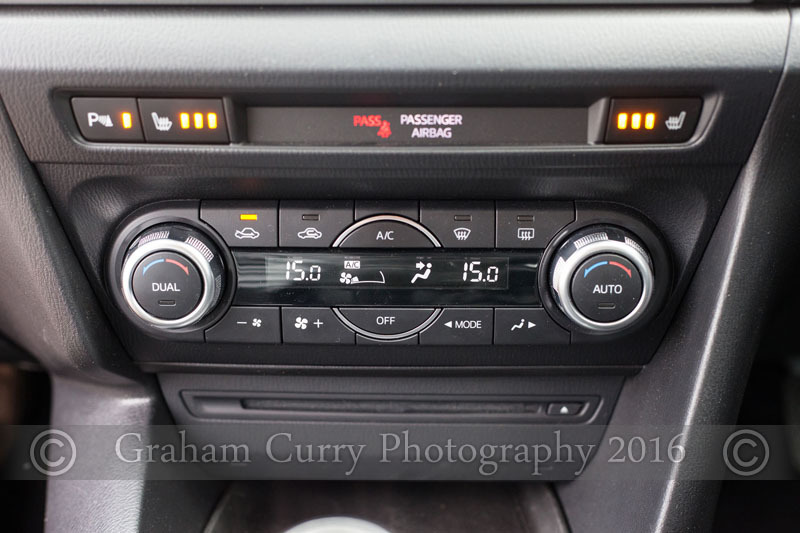 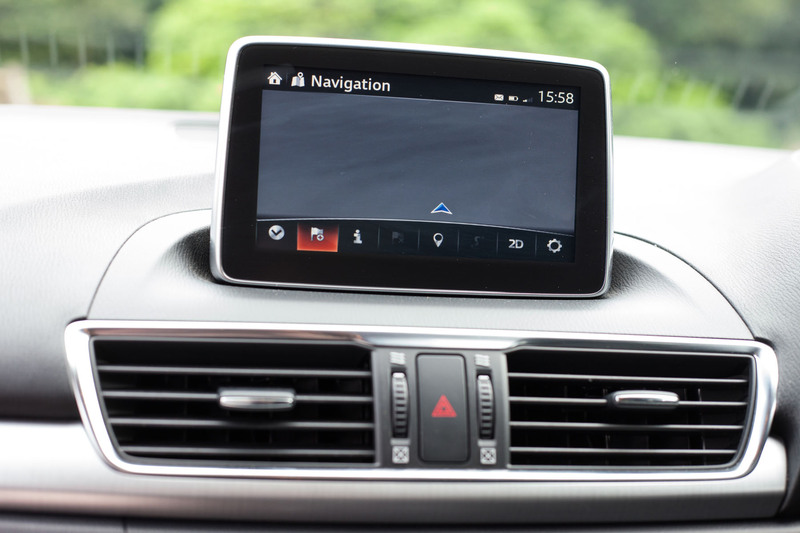 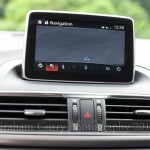 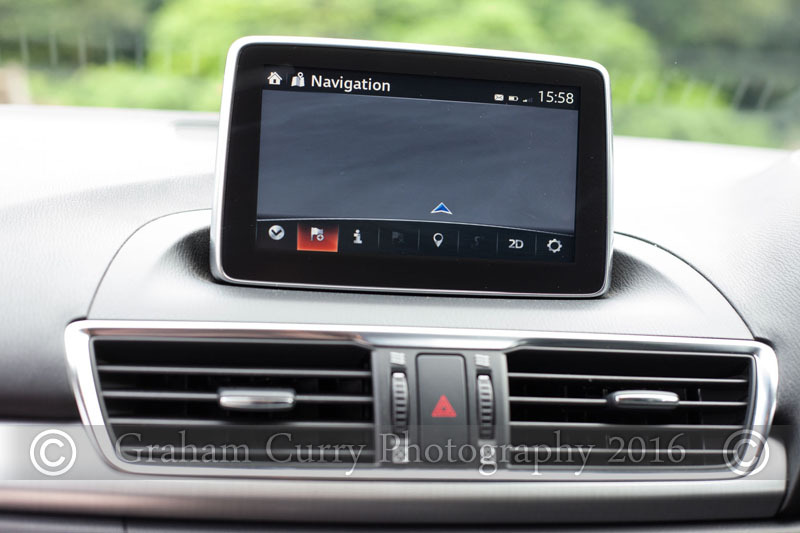 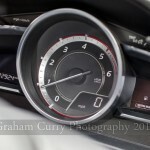 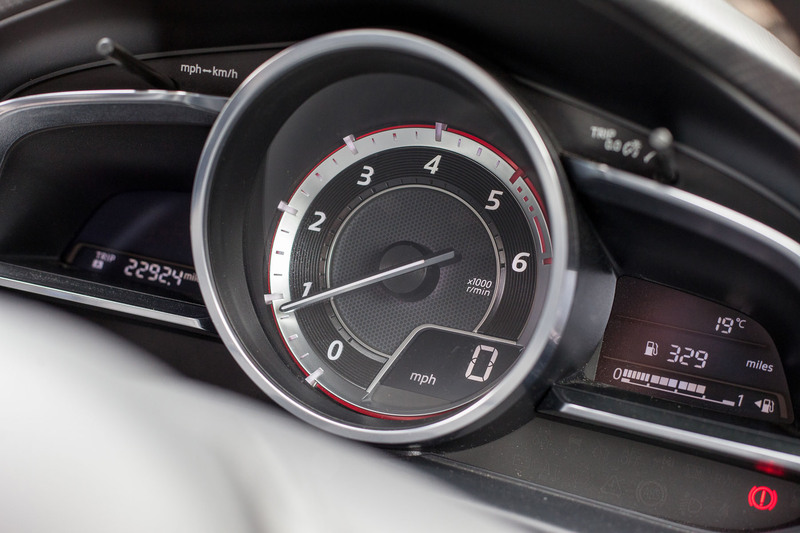 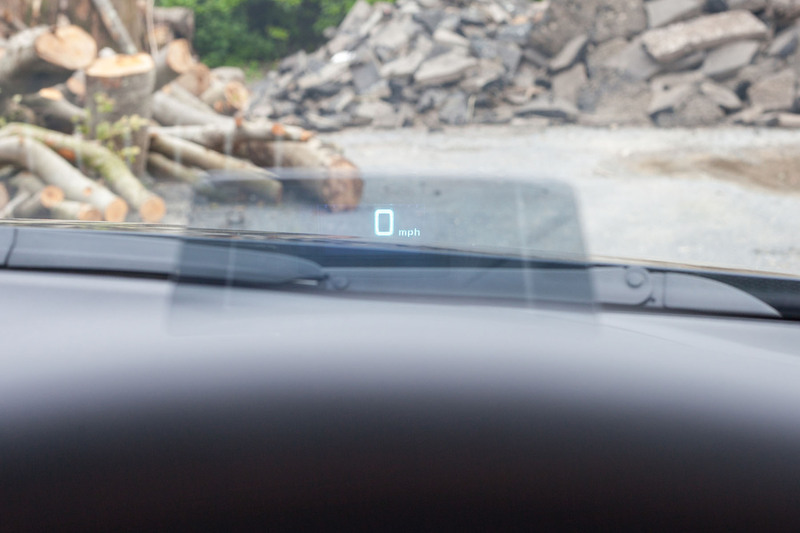 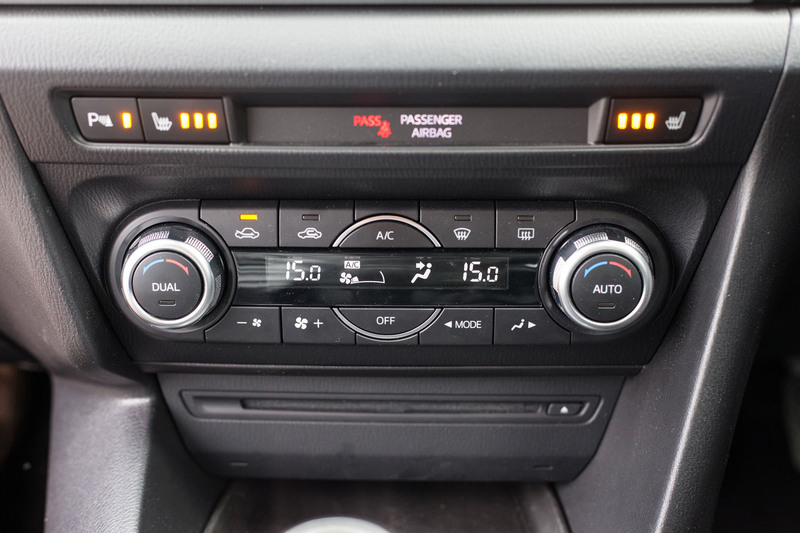 A large rev counter features in the dash with a digital speed read out and a head up display on the windscreen. 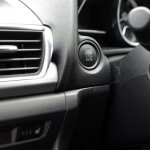 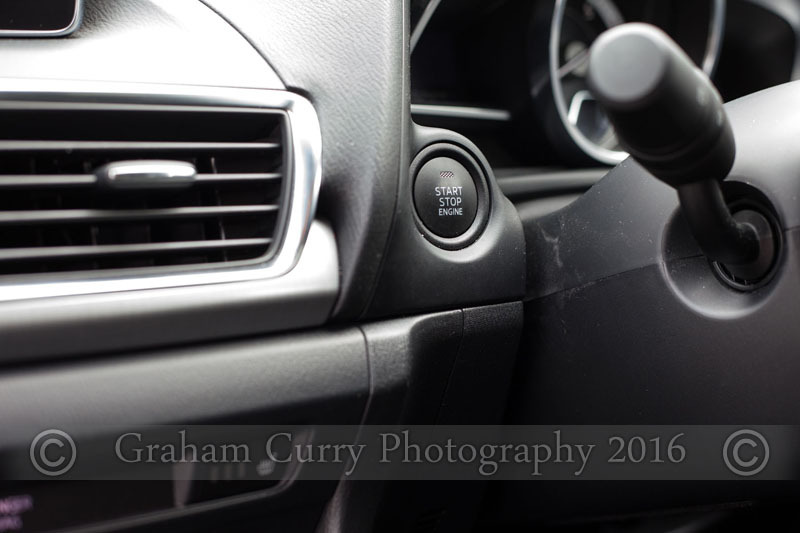 Again there is a drive wheel and buttons beside the handbrake to navigate around the system as well as steering wheel controls and I am still quite sure that the screen isn’t of the finger touch variety which means when inputting sat-nav locations, it can be slow and tedious via the drive wheel. 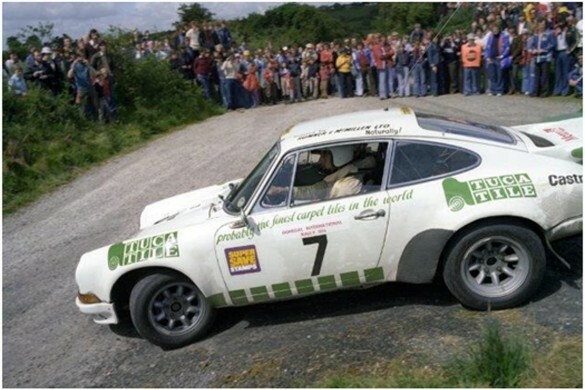 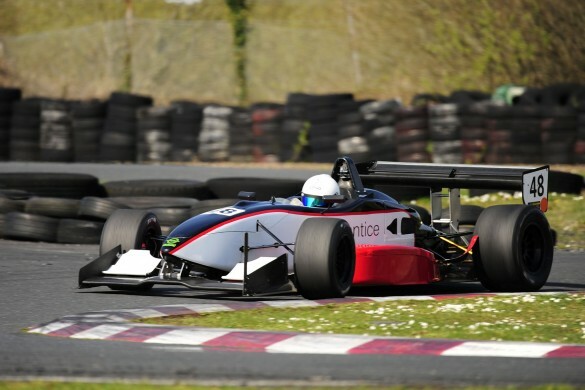 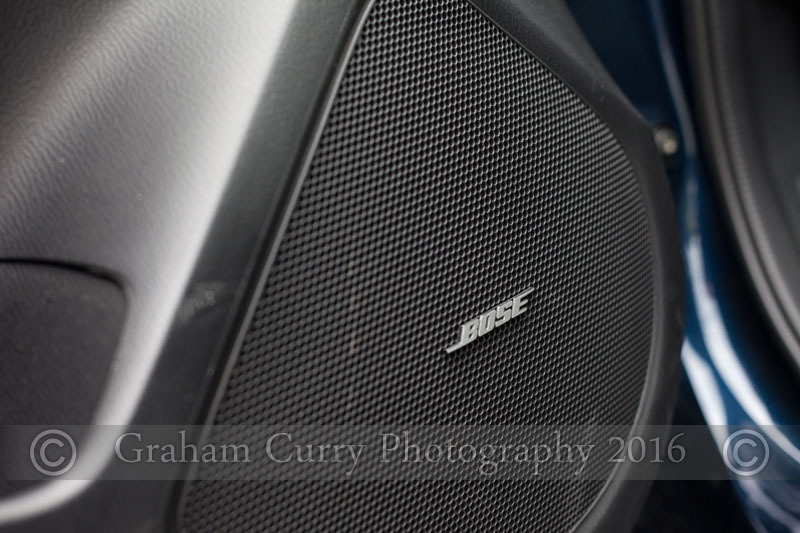 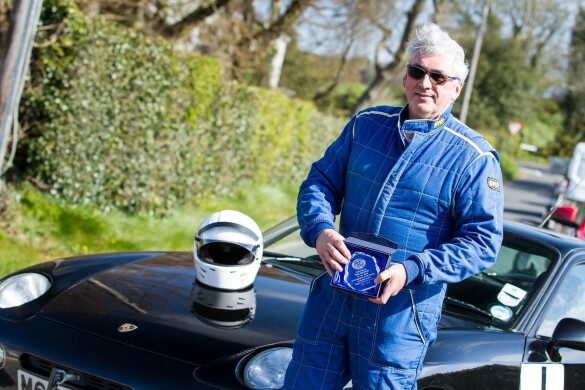 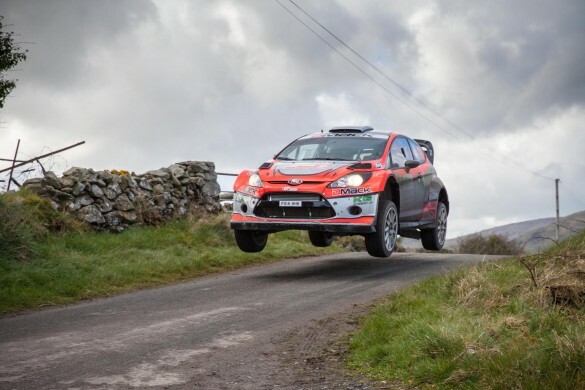 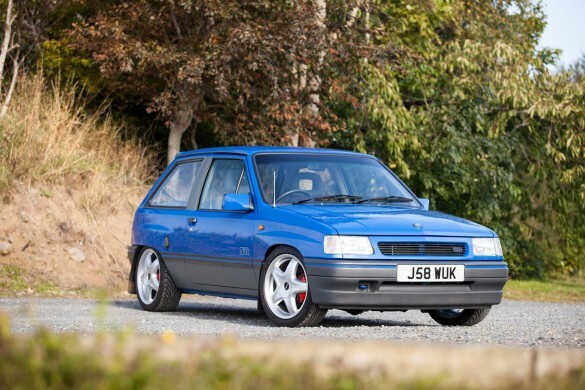 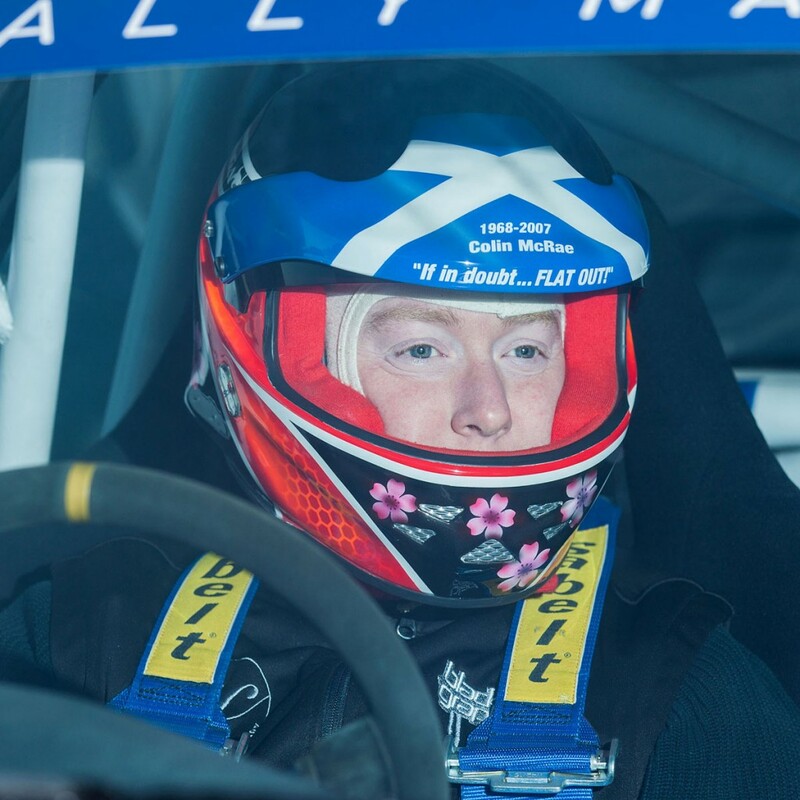 However; over the week I drove the car on mixed driving, I found the engine to be a little lack lustre mid-range and indeed was very sensitive to the gearing in order for it to stay within the torque range. 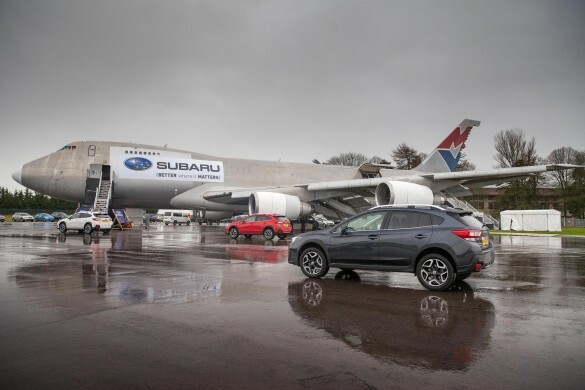 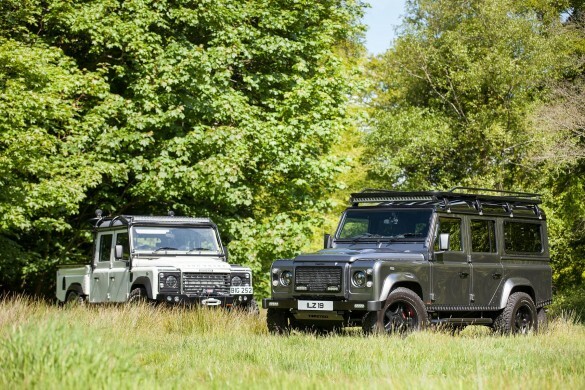 For doing big miles I personally would opt for the larger diesel unit and stay with the petrol models for anything less than 12k miles per annum. All said, there is plenty of low down torque available and as far as driving mannerisms go, there isn’t much else I could grumble about. 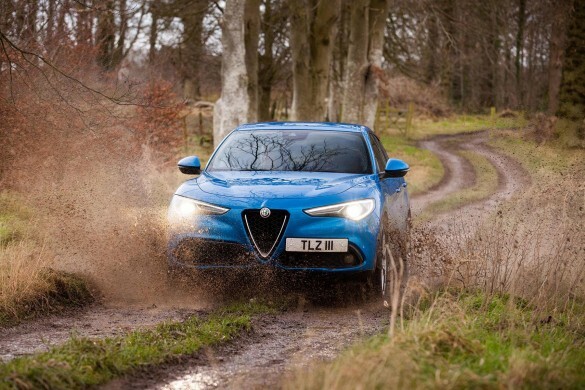 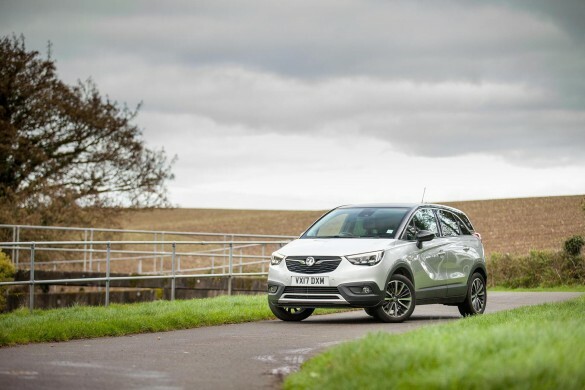 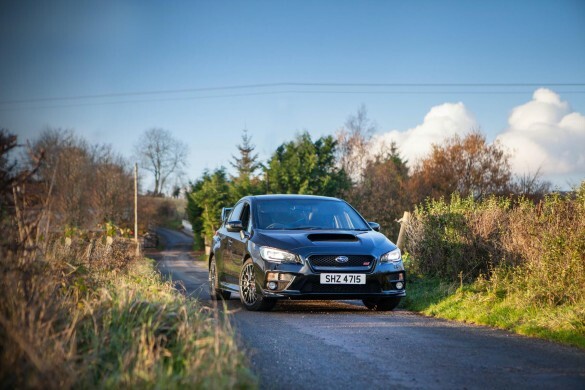 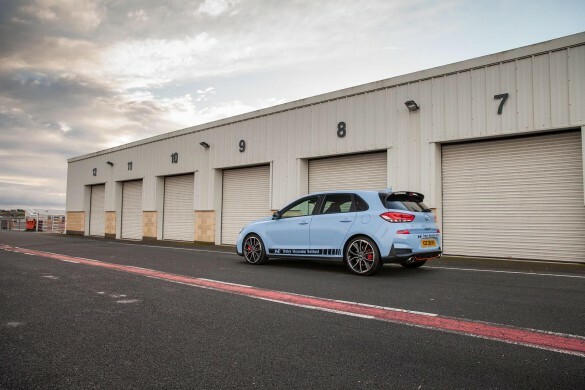 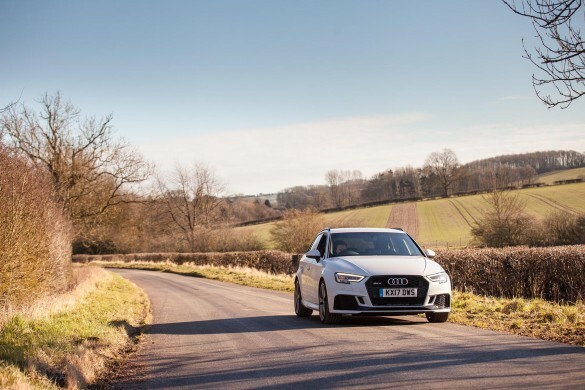 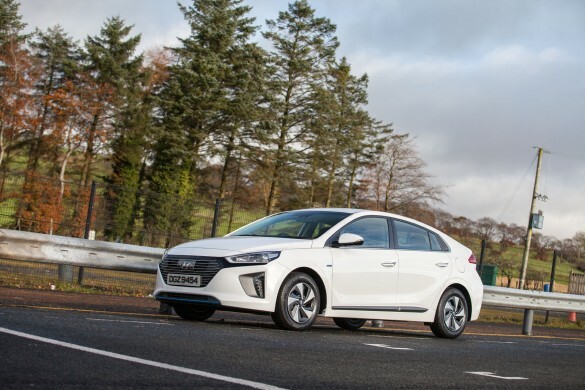 The 3 offers a nice driving experience, the position and comfort of the seats combined to the chassis makes it an effortless and enjoyable with this car having optional 18” alloy wheels fitted to aid the grip and looks. 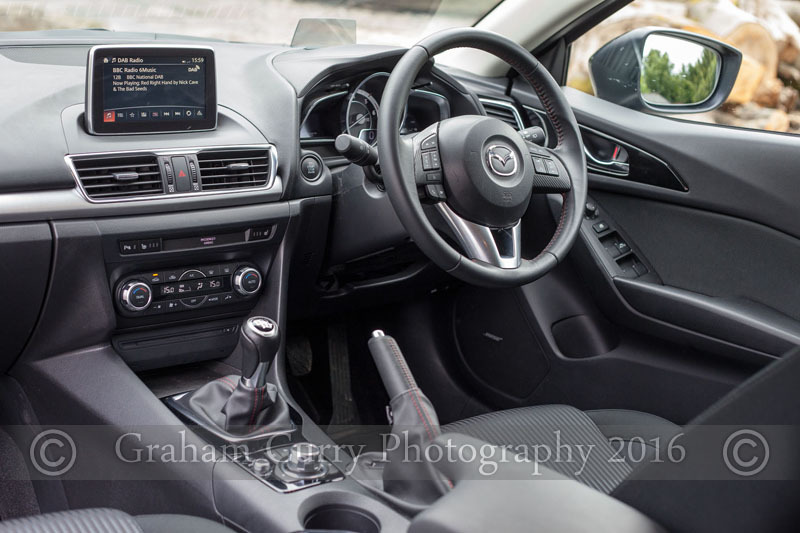 A six speed gearbox fitted to this car is accompanied by an automatic option being available and all models are front wheel drive and with a combined mpg of mid 60’s on my week of mixed driving it certainly is worth noting the 3 as a strong contender when buying. 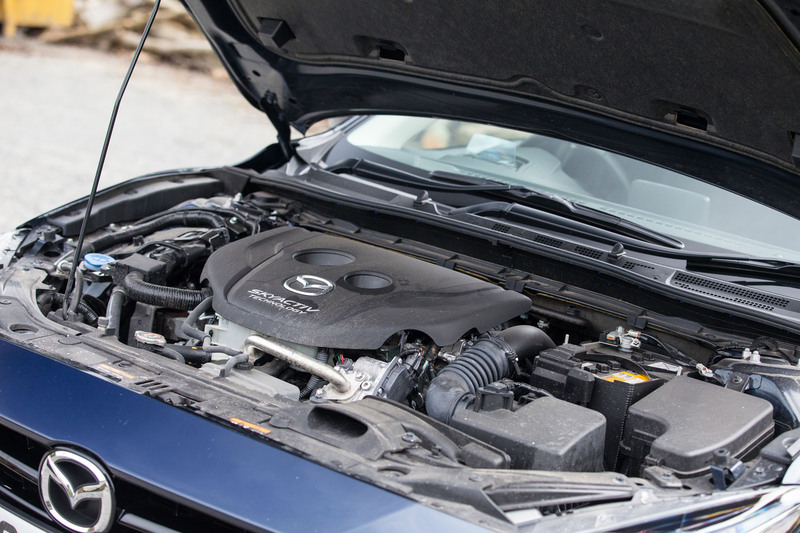 The Mazda 3 does what it does, it does it well and there is a mountain of choices when it comes to spec/engines/options so the best thing to do is contact your local Mazda dealer and get a test drive if you’re in the market for something other than a VW Golf or Ford Focus. That’s a really nice car. 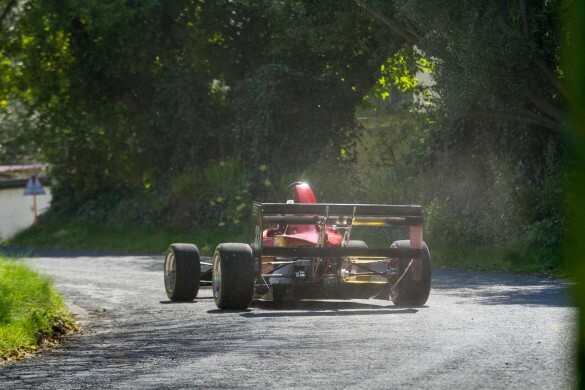 And awesome photos by the way.